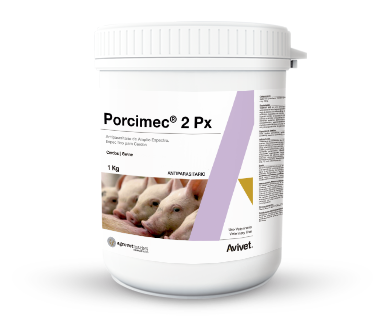 Antiparasitic broad spectrum specific for pigs. Fattening: up to 40kg p.v. - 200 g / MT of food; from 40kg to 70kg p.v. - 240 g / MT of food; of 70kg of p.v. more - 270 g / MT of food. Sows: 400 g / MT food for 7 days.